Without once mentioning the word “Brexit”, the Federal Retirement Thrift Investment Board today warned federal employees against panicking over big swings in the stock market following the United Kingdom’s vote to leave the European Union. The unexpected election result produced a dramatic drop in the value of the pound, followed by a steep decline in stock markets around the world. Once you’ve established your retirement goals and a savings strategy that fits your needs, you’ll have the best results if you stick to your plan. Don’t get sidelined by distractions. Make adjustments to your strategy only after careful consideration. It’s always a good idea to periodically ask yourself whether your retirement portfolio properly reflects your willingness and ability to take risk. But if you are certain about the amount of risk you can tolerate, don’t allow short-term market movements to steer you off course. Suppose, for example, that you have many years before retirement and you have determined that investing in the TSP’s stock funds is appropriate for your time horizon because of the potential for higher long-term returns. If you move your money out of your TSP stock funds when the market starts to dip, you may miss out when it bounces back. An investment strategy of chasing returns or trying to “time the market” means you have to be consistently correct two times: exactly when to get out of a particular asset class and exactly when to get back in. Most investment experts agree that such success is highly unlikely over long periods. 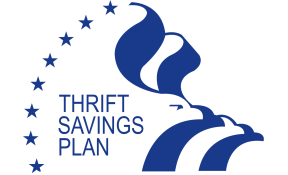 The Federal Retirement Thrift Investment Board (Agency) proposes to amend its regulations at 5 CFR parts 1600, 1601, and 1651 to change the default investment fund for certain participants in the Thrift Savings Plan (TSP). The proposed regulation would (1) change the TSP’s default investment fund from the G Fund to the age-appropriate L Fund for certain participants, and (2) provide for a notification of investment risk before enrollment or as soon as practicable thereafter for participants whose default investment fund is the age-appropriate L Fund. The bill has an effective date of 9 months after the date of enactment (September 2015). To read the Federal Register posting on this matter, click here. Among the policy retreads, there was a surprise in the House package. The savings for Uncle Sam would come at a great cost to his staff. The fund’s current annualized interest rate is 1.88 percent. Adopting the House plan would result in a precipitous interest-rate drop to an annualized 0.01 percent, according to the TSP. Read more: GOP budget plan has a surprise among list of cuts for federal employees – The Washington Post.